I'm interested in using a scuttle, but my problem with them is that 99% of them are too large. 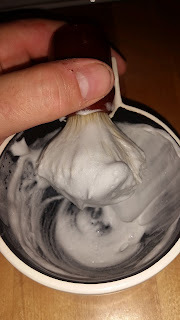 Unless they're the vintage kind, they're usually uncomfortable to hold for extended periods of time, which means you usually need to build the lather with the scuttle sitting on the counter. I'd prefer to hold the scuttle while building the lather. I know that the "small" Moss Scuttle is the usual recommendation, and I like the idea of that, but I'm looking to see if there are other options. A handle is preferred. I'm thinking of a scuttle that's more like a large coffee mug rather than a large bowl with a handle. Thanks for any suggestions! If you happen to have firsthand experience with a particular one, including pictures so that size is apparent, that would be a pretty big plus! While not a scuttle per see, I wonder if the lathering bowl I've been using lately would be suitable? (05-04-2018, 10:00 AM)clothing_throwaway Wrote: I'm interested in using a scuttle, but my problem with them is that 99% of them are too large. Before its unfortunate meeting on 2017 January 23 — a date that will live in infamy —with a hard tile floor, I used an artisan hand-thrown pottery mug made by Kobushiyaki in Hokkaido, visible in this thread, that had rather thick walls and retained heat superbly (that is, it had high thermal mass); after about five minutes’ of full immersion (inside and out) in 120° F. water, its performance was very scuttle-like; I usually left a couple of inches or so of hot water of the same temperature in the sink, a depth sufficient to immerse the mug, with the brush inside, to about half the height of the mug during the course of the shave. 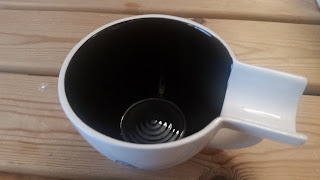 If you go the coffee mug route, be sure to get one that is wider across than it is tall, or else your brush will clatter when bowl lathering. 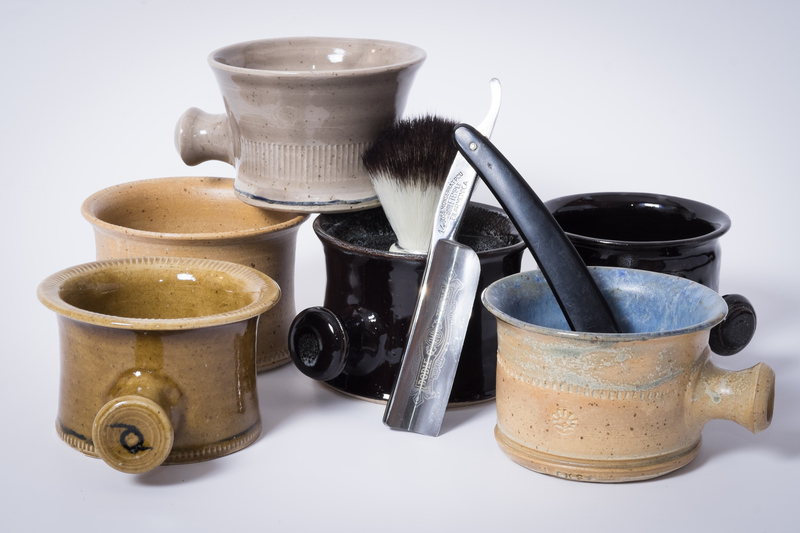 How about a vintage Seto Marujyu Shave Mug? They pop up for sale every once in a while. Give Dirty Bird Pottery a shout. I know she's done customers work (variation) of her scuttle before. I dig her earthy looks and she seems a pleasure to work with. Maybe this kind of shape? (05-07-2018, 04:52 PM)Gabe Wrote: How about a vintage Seto Marujyu Shave Mug? They pop up for sale every once in a while. I saw one of those in Japan a few years ago. It's small, all right. PAA travel scuttle. It is made out of plastic so it is light to hold even with water. Not too large either.